Have you ever wanted to learn more about hoof care? We invite you to spend the morning or afternoon with fellow farmers and professional hoof care specialists. Call us now to register your place on a hoof-trimming seminar run by Fred Hoekstra (places limited), attend our demonstrations and enjoy a free barbecue lunch*. 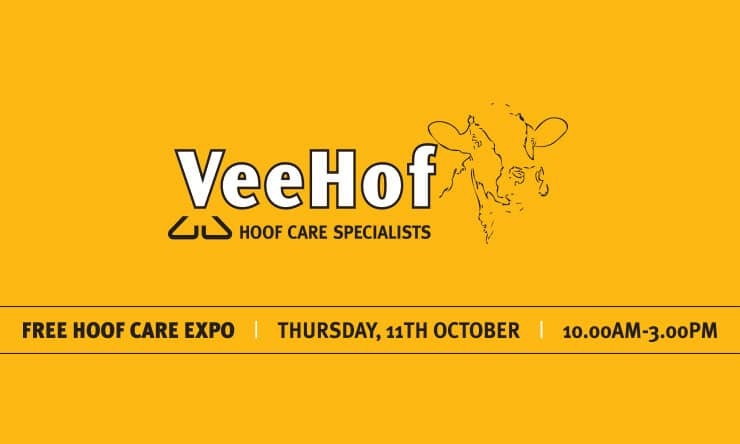 If you’ve ever been curious about hoof care or what we offer at VeeHof, our open day is for you. To support farmers to raise the standard of hoof care, VeeHof provides research, hoof care equipment for purchase and training to customers. Fred Hoeskstra (founder of VeeHof Dairy Services Ltd) is a qualified hoof trimming instructor trained in Europe and holds a Diploma in Hoof Care from PTC Oenkerk. Passionate about lameness, related issues and animal welfare; Fred is currently the President of the NZ & Australian Hoof Trimmers Association. Call Fred if you need expert hoof care advice for your dairy herd.